Do you need a longer term property, Building or relocating?. 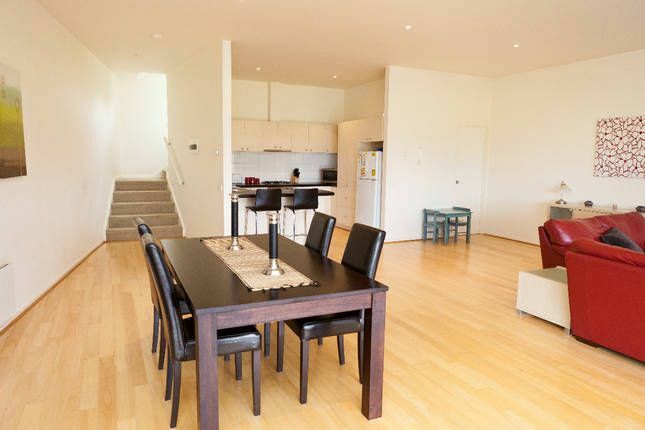 This modern 2 bedroom apartment provides a very large open plan living and kitchen space with adjacent 25sqm covered balcony complete with day bed and outdoor table and BBQ. The two bedrooms are well furnished with 1 x king bed (large bedroom), and 1 x queen bedroom. A third single bed is located on the upstairs landing (or can be moved into king bedroom as plenty of space). Port-a-cot for the little ones is also available if needed. A great size bathroom including double shower and basins and a corner spa. There is plenty of room for car parking with 2 off street parks available. Full laundry and separate downstairs toilet space. This is perfectly suited for small families (up to 5 persons) who are looking for longer term accommodation whilst relocating or building . The property is well equipped to meet all your needs. Note - stairs up to and internal at the property so not suitable if wheelchair access is required. Child safety gate installed at top of external stairs. Paul and Adele are your hosts and have hosted the property to over 100 guests since 2011. We are a professional couple who live in regional Victoria running a business and love hosting families and many international guests relocating to Australia. We have hosted over 100 guests since first renting our property as a fully furnished property well before the airbnb and homeaway craze. We generally focus on long term bookings catering for internationals relocating to Australia or families renovating or someone needing a furnished property for a longer period of time. We now have many guests returning to the property for their 2nd or 3rd visit to Australia visiting family in the area. The property is extremely spacious and feels more like a small family home rather than a townhouse apartment. Very nice property..everything you need is there. Very nice accommodation, clean,spacious and quiet. It was not central to where we needed to be but very easy to travel there daily. Very nice area and thoroughly enjoyed our stay there. Big and beautiful place to stay! Although we had a short stay the place became a second home. It is very big and beautiful but also cosy at the same time. Great holiday home!! This property is very well equipped. It is spacious and has all the facilities needed for a pleasant stay. We just had two niggles. Firstly, there are no locks on the bathroom doors-strange in a property that can easily sleep two couples. Secondly, when booking from England, bank charges are quite high. And we had to pay them all-including those incurred when our damage deposit was returned to us. This added in total over £110 to the cost of our stay. However, we enjoyed our stay very much. Enjoyed our stay, the place was clean and tidying, spacious and very accommodating. The owners were lovely and helpful. Plenty of space and all you need to be self sufficient.Nice walk to the shops on Main Street Mordialloc. We really enjoyed our stay in the apartment. Modern, very comfortable, spacious, well equipped property suitable for a family or business person, long or short term. Excellent proximity to public transport & shops. I recommend this property.